Starwind software is well known for their Virtual SAN software I have talked about on several occasions, and newly also about their Hyperconverged appliances (hardware+software) which are pre-configured with your options by Starwind engineers as a “ready-to-ship” systems. But at Starwind they also have another interesting product which provides just storage – Starwind Storage Appliance (SA). I say just storage, but storage which has ‘shared nothing’ architecture without shared backplane and which can tolerate 4 disk failures in the group without losing the uptime. It uses distributed RAID61 where other vendors use only RAID6 (2 disk failures). It can expand and scale up or scale out. You can scale up adding individual disks and flash modules, or JBODs, while adding ready controller nodes allows scaling out. It uses commodity servers, disks and flash, and associated software into an easily scalable storage platform. Server-side Cache – multi-tiered RAM and flash caching. StarWind SA uses flash for level 2 caching, rerouting all write-intensive I/O to level 1 (RAM is used). FT and HA – by mirroring the data and caches between nodes. The storage pool is FT, achieving fault-tolerance of the entire storage pool. It builds a “grid” which is “workloads aware”. It cares of data locality. Snapshots and Automated Storage Tiering – 3-2-1 rules. 3 copies of data in 2 formats and 1 on a remote site, utilizing snapshots and asynchronous replication. It also employs a principle called “inter-node tiering”, which offloads rarely-used “cold” data to inexpensive and slower secondary storage tier, preserving faster controller node for “hot” data, in other words – data which is used more often. Deduplication and Compression – in-line deduplication, which can be used for running workloads. Also, StarWind SA can use third-party offline deduplication, for example – Windows built-in feature, which is less resource-critical and better for cold, rarely accessed data, like backup. 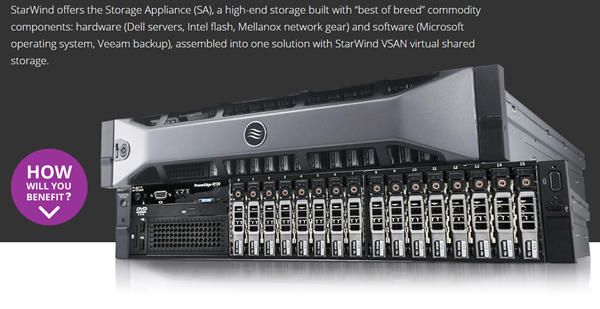 Check Starwind SA Product Page or their dedicated website at Starwindstorageappliance.com for further details…. SA 130 (Disk or Hybrid with single-controller storage platform). It is good sequential workloads like backups, archives, file storing, vaulting, etc. Built-in offline deduplication optimizes storage utilization. 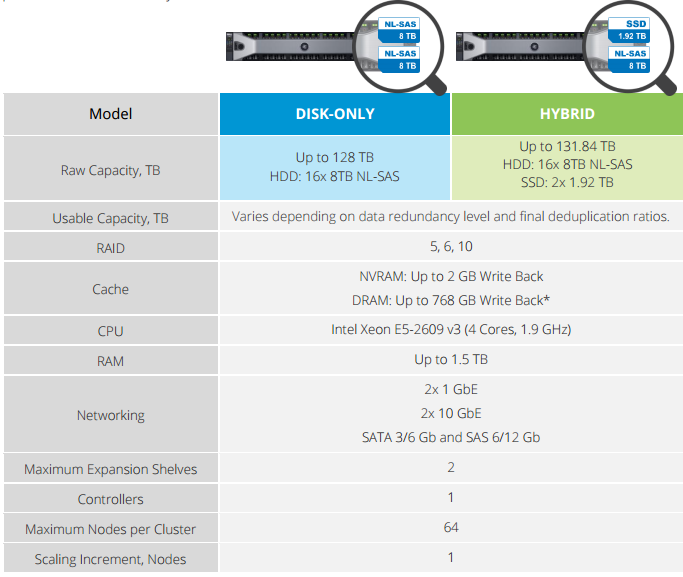 Capacity up to 128TB for the disk model or 130 TB for the Hybrid model. When more space is required, another SA 130 ready node can always be added to the setup. SA 230 (Hybrid or All Flash model). Dual-controller “shared nothing” (dual-array) Fault-Tolerant scale-out storage platforms, designed for more performance-hungry workloads. Both models use a combination of Erasure Coding and replication so they are able to tolerate up to 4 drive failures in a disk group. SA 230H provides entry-level highly available storage for server virtualization and file storage or a fault tolerant backup solution. SA 230F is an all-flash storage designed for IO-intensive applications like SQL and Oracle databases, VDI deployments, as well as dense virtualization storage. It delivers ultra high performance under heavy, random-write-intensive loads. Industry-standard 4K Inline deduplication functionality allows maximizing usable capacity without sacrificing performance. Below the specs of the SA 130 model. Additionally, the package is completed with Anti-Virus and Backup software from Veeam as well, so you’re protected “Out-of-the-box” and no need to look for separate solutions. Storage, Hyper-converged infrastructure (HCI) are hot topics. This isn’t new. It’s interesting to see how the IT transformation works within the partners eco-system. Example with Starwind which I remember, started with software iSCSI shared storage as a target for VMware infrastructures and then quickly transforms itself and provide more and more options and products and software solutions which are innovative, reliable and brings a good value for customers. 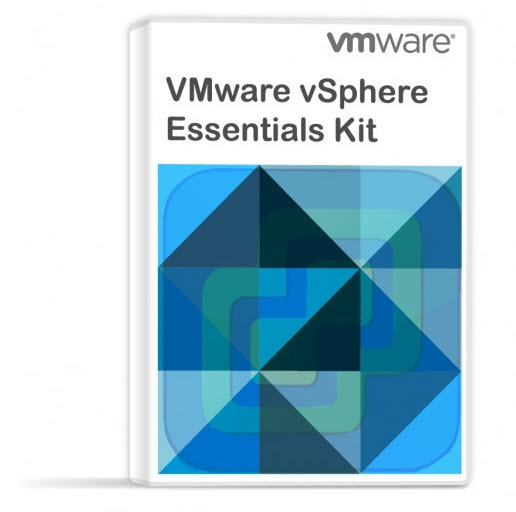 The IT and especially storage had tremendous momentum within the last couple of years. With HCI we see a new interest in locally attached disks but remember not so long time ago we were “pushing” diskless hosts and shared storage only….